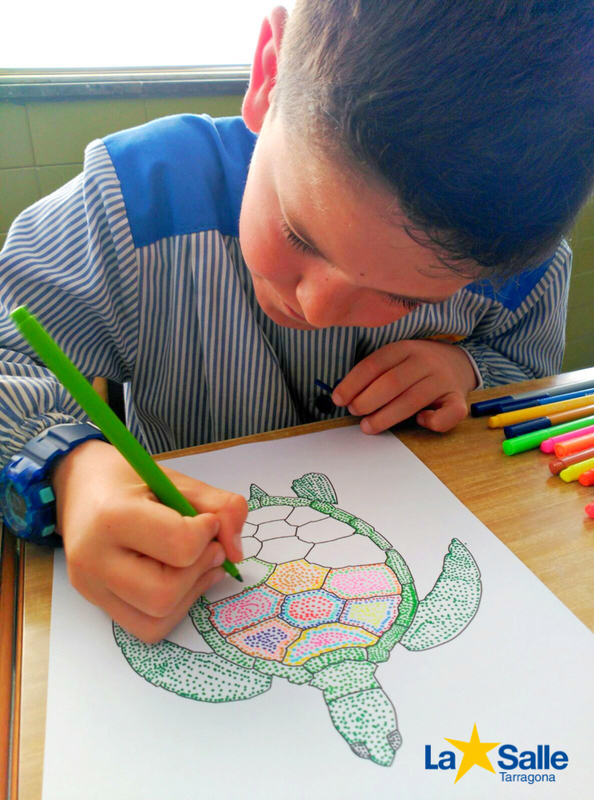 This month the students of the third grade of primary have studied the country of Australia. We have learnt about the curiosities about this huge country, the native animals (the koala, the kangaroo, the wombat…), the important cities, sports, etc. We have also studied the aboriginals; the Australian indigenous habitants before the English colonisation, who are still alive. They have their traditional culture: music, dances, and art. The students loved their colourful paintings that’s why they made their own pieces of art. The boys and girls coloured lots of dots filling the Australian animal that they chose (koala, kangaroo or turtle) and creating different shapes around it.